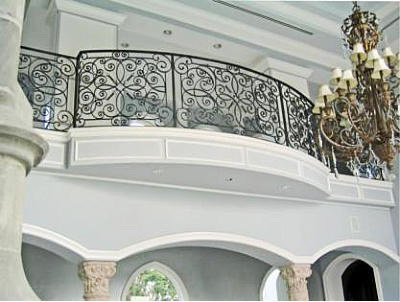 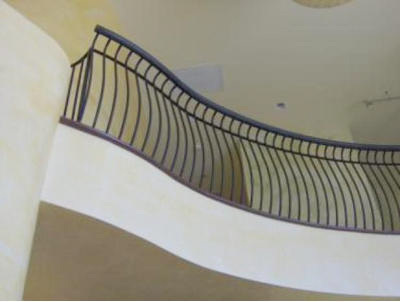 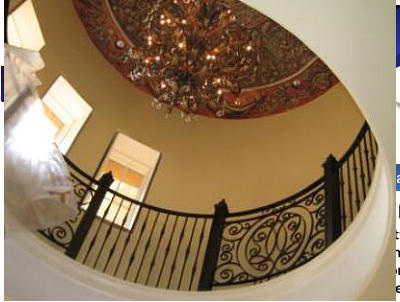 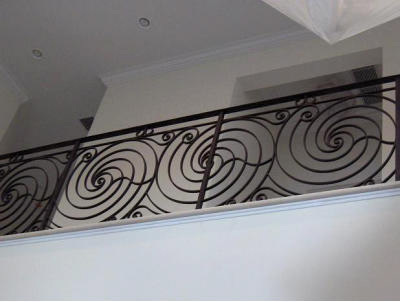 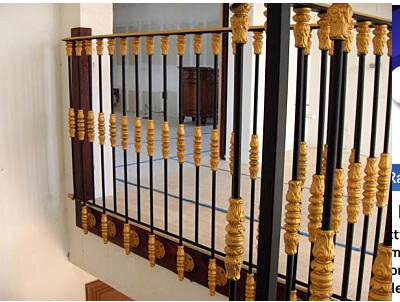 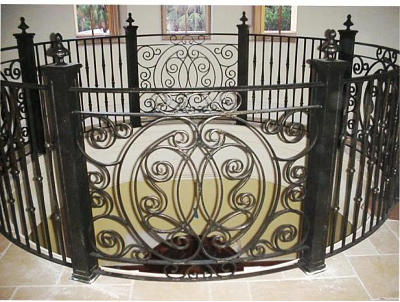 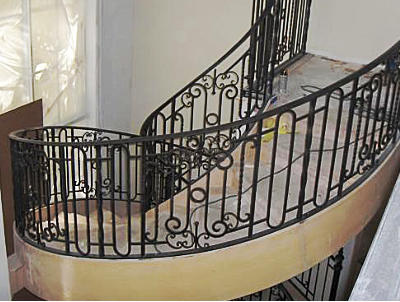 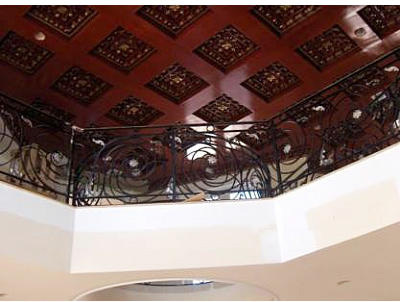 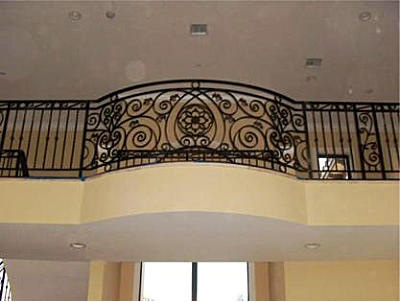 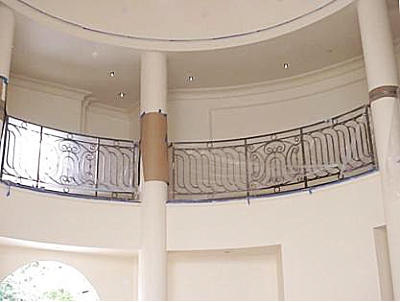 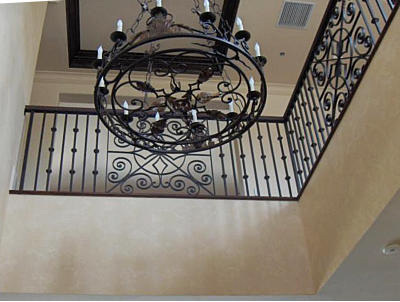 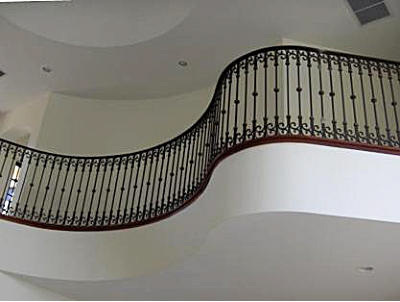 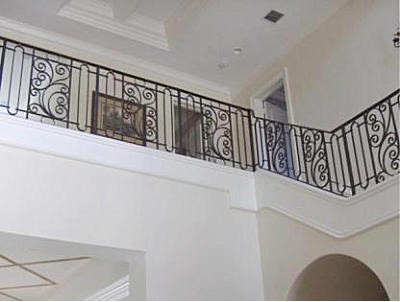 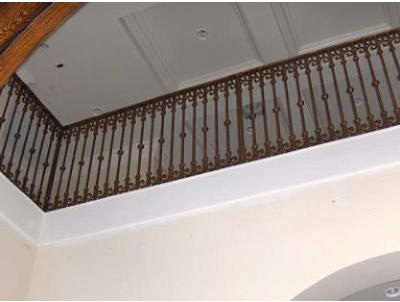 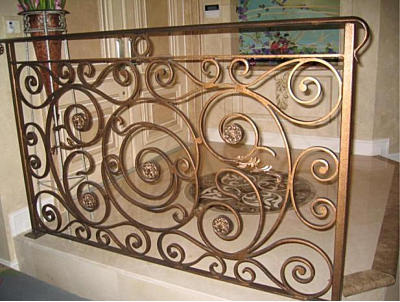 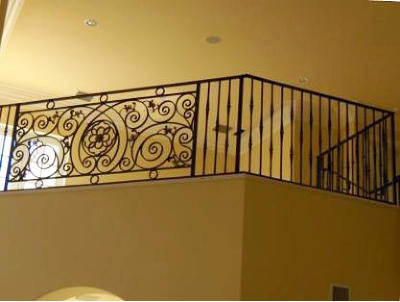 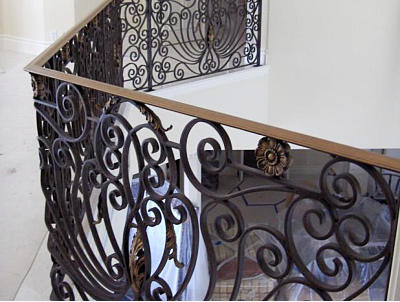 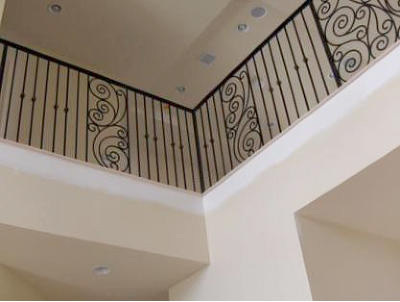 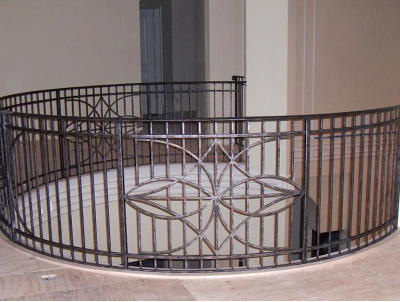 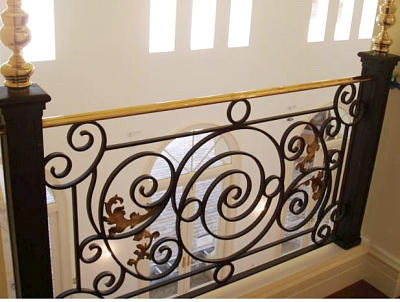 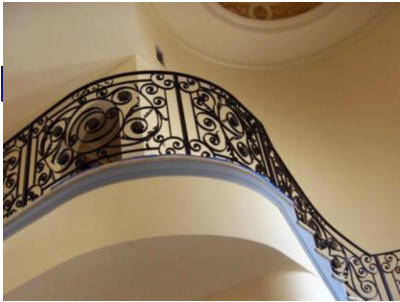 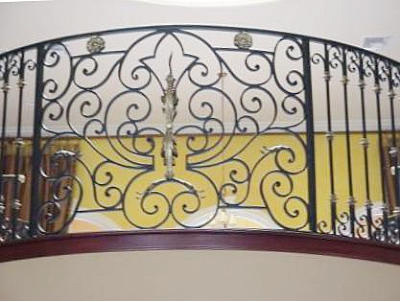 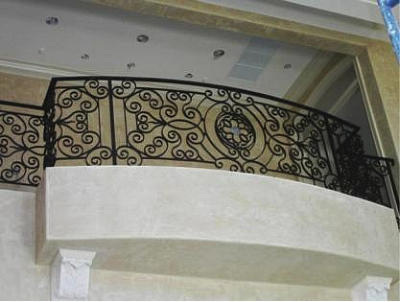 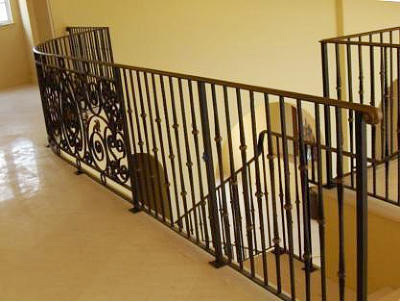 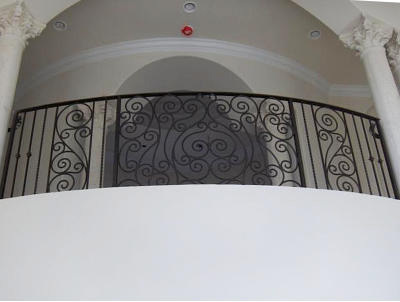 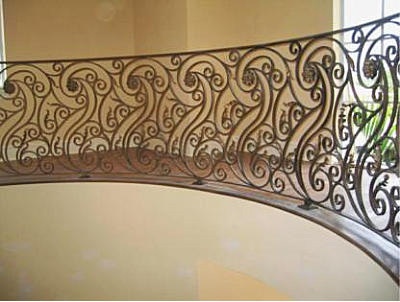 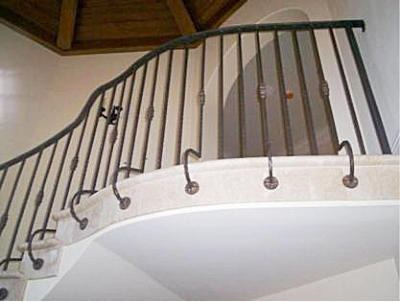 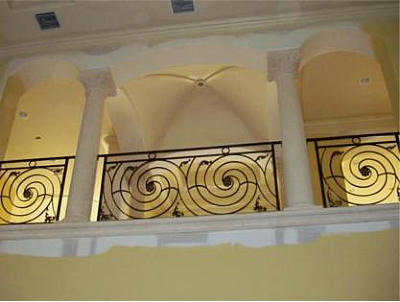 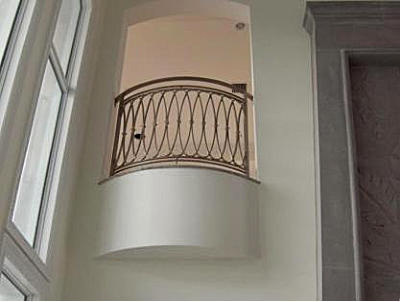 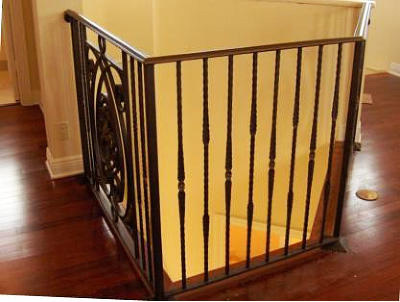 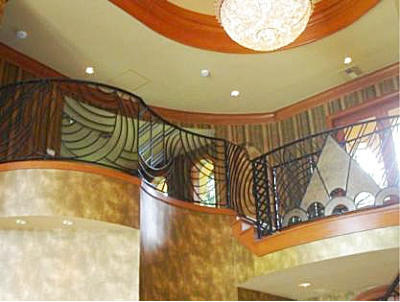 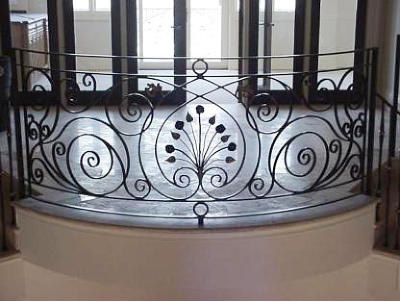 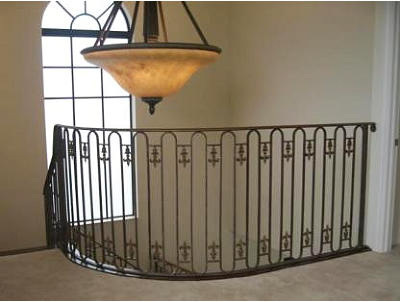 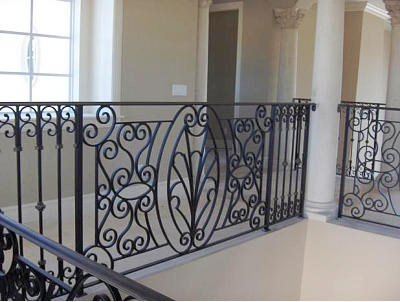 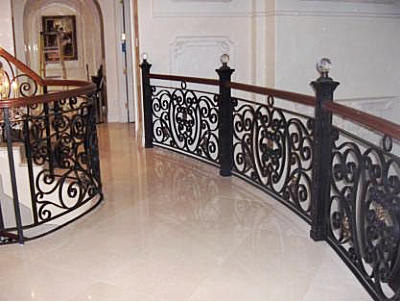 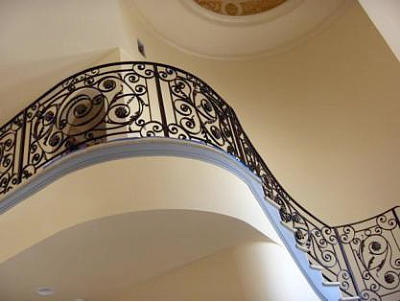 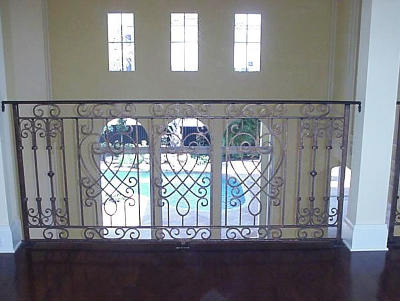 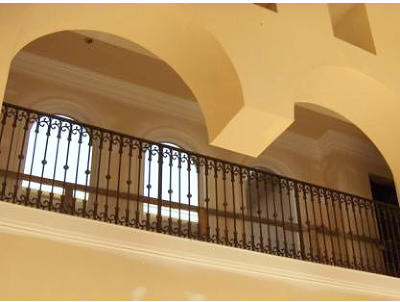 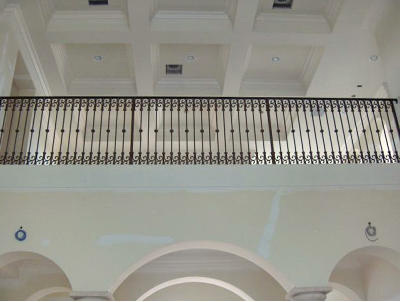 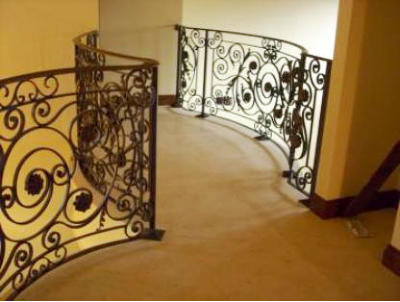 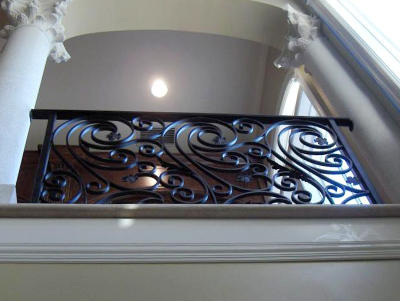 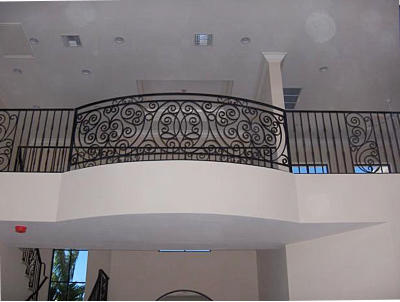 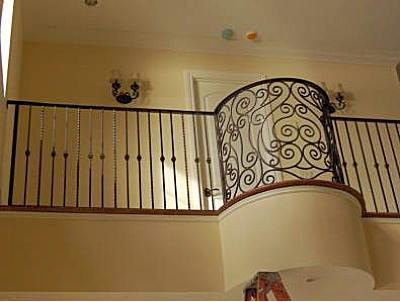 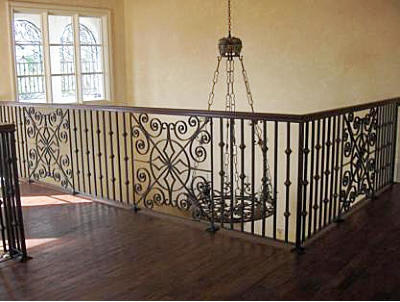 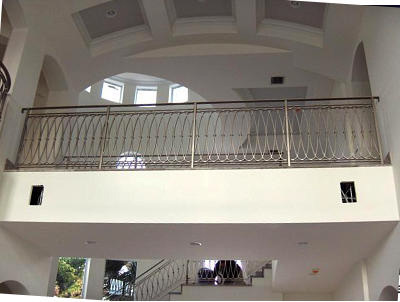 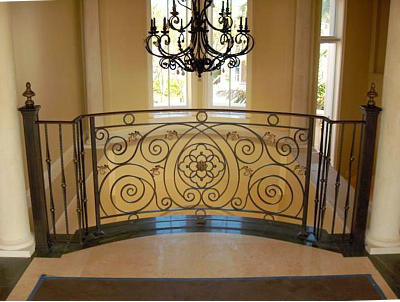 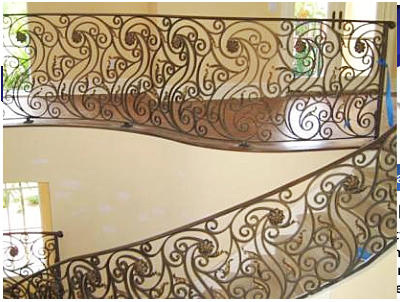 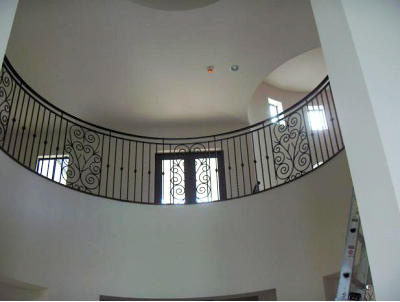 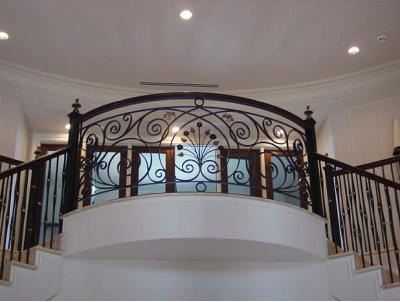 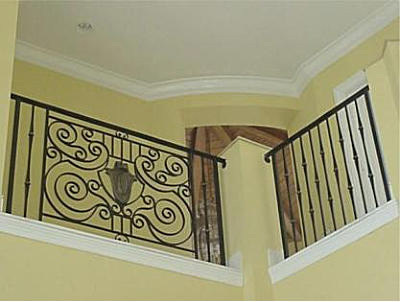 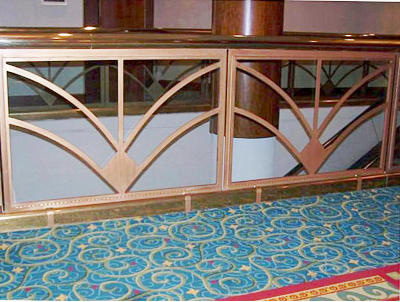 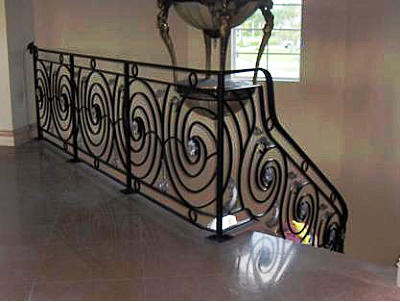 Interior Wrought Iron Balcony Railings For Beauty, Elegance, Long Life, Safety and Value! 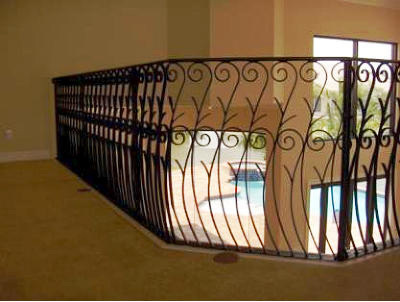 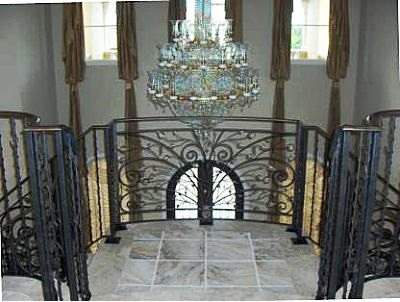 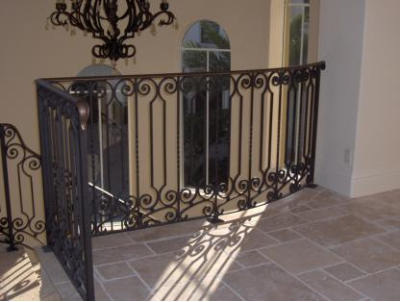 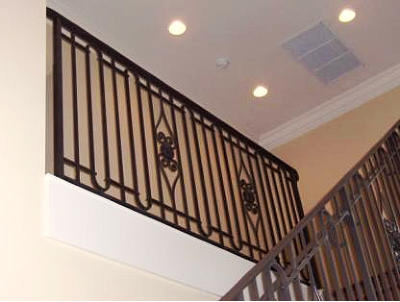 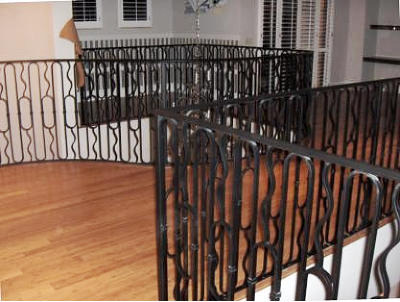 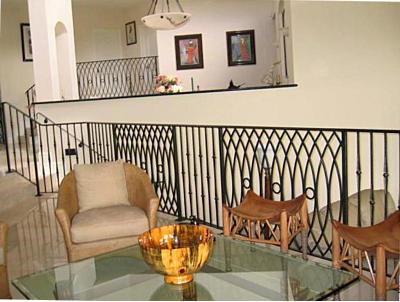 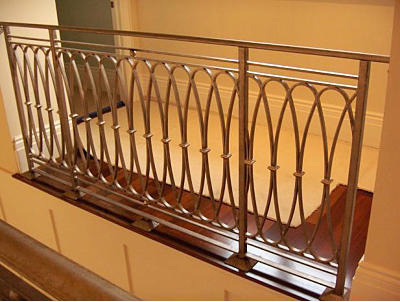 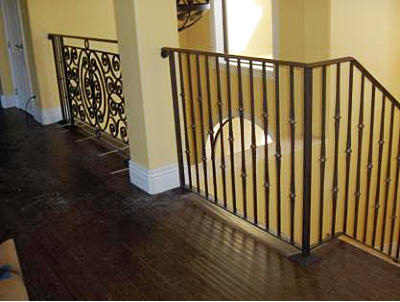 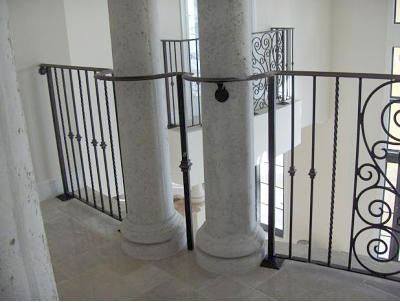 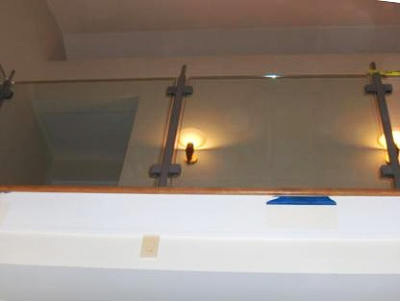 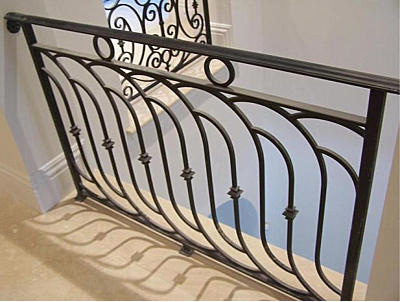 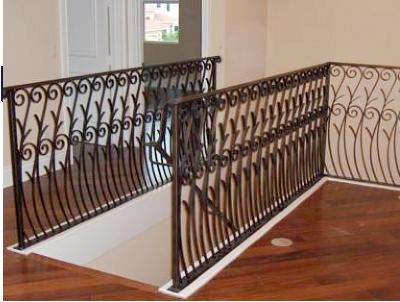 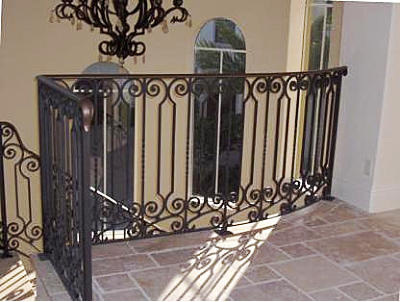 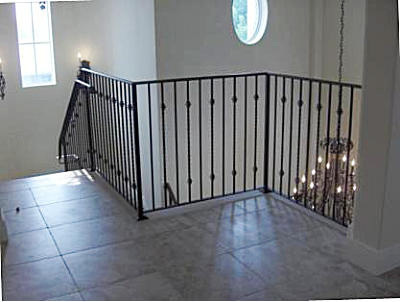 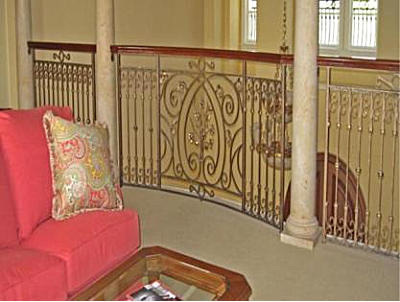 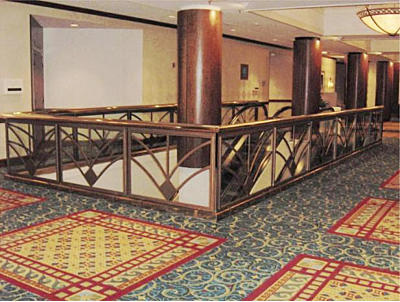 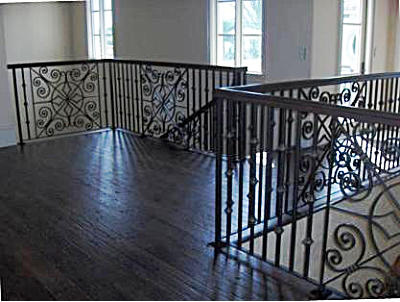 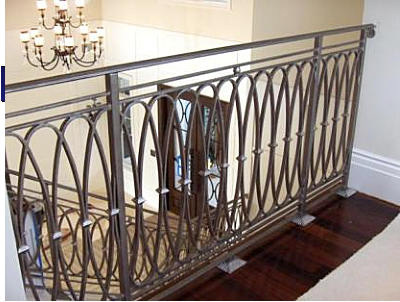 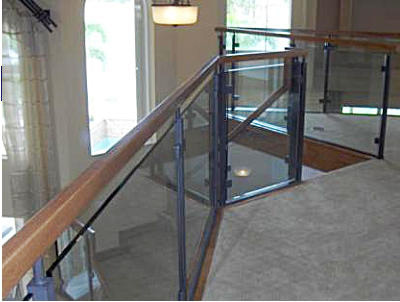 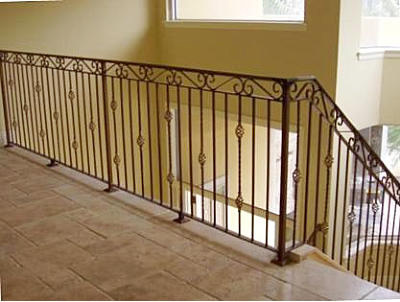 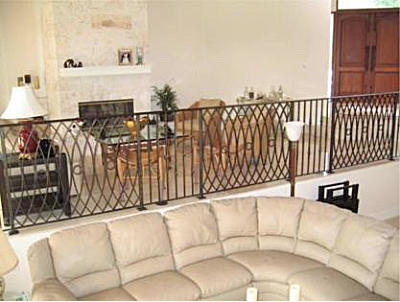 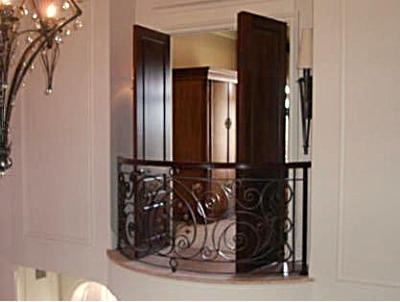 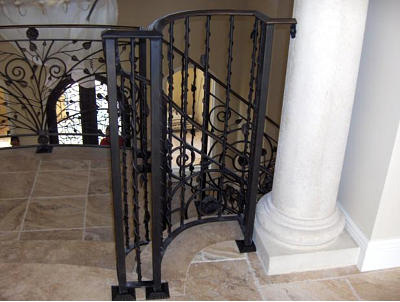 Interior wrought iron balcony railings offer a triple function. 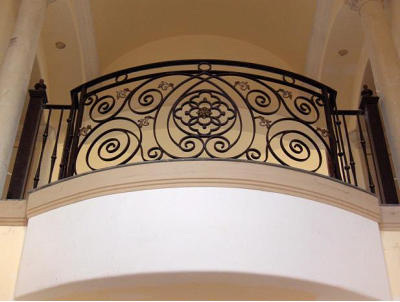 Designed for a beautiful and decorative function, they add focal point and elegance to any home, or second level of a home,—but also for safety. 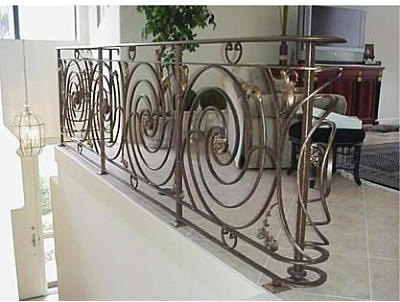 Another great feature which makes these balconies so popular, is their resistance to rust. 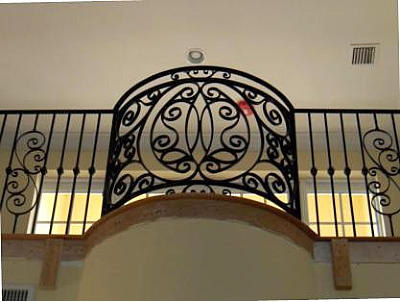 Wrought iron balconies offer a real advantage, and is a clear winner over other metal choices. 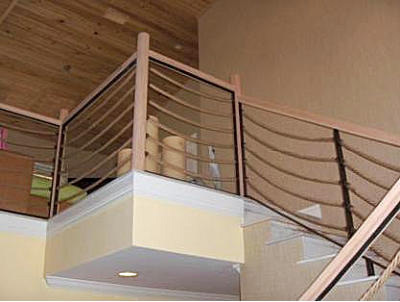 It is strong and sturdy and will never split, rot, or warp due to weather conditions. 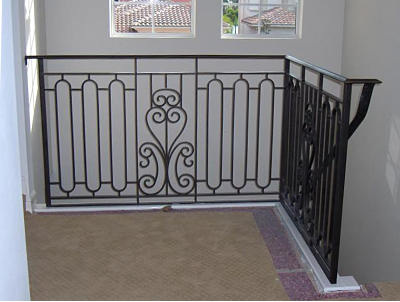 It is significantly lighter than other railing materials so there is no stress placed on the building structure at any point. 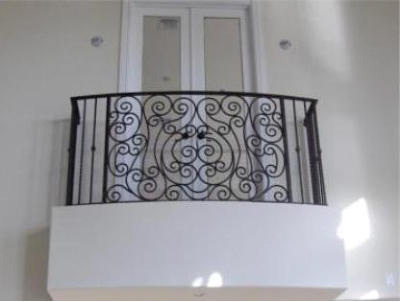 The Avion Metal Works owners will be happy to consult and advise you, answering all questions regarding wrought iron balconies, and any other metal and Iron product design needs for your home or business. 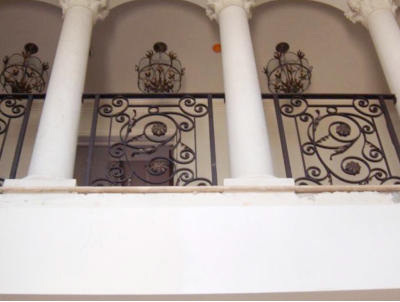 We will work closely with you every step of the way in the design and superior creation of your new iron balcony.